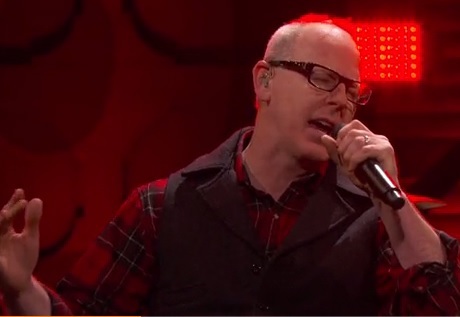 Bad Religion went a-wassailing on Conan last night (December 18), bringing their punky run-through of "O Come, O Come Emmanuel" to a late-night TV audience. The pop-punk rendition, plucked from their Christmas Songs LP, was given a spirited performance from the veteran crew, who enveloped the traditional carol with buzzy guitar tones, a couple guitar solos and the booming voice of wise man Greg Graffin, decked out in his finest seasonal green-and-red flannel. You can check out their carol down below.